Elinor is a British artist based in London. The work she creates sits on the intersection between contemporary dance, live art and installation. Her practice employs the relationship between human and object to investigate themes of risk, space, ecology and tension. Elinor’s current work seeks to expose the space between human and object as a charged area of conflict. Elinor graduated from Laban with The Sylvia Bodmer Award in 2014 and has an MA in Performance Making from Goldsmiths- graduating with Artsadmin’s BANNER Award 2017-2018. Since graduating, Elinor has worked to develop her first two major works, Orchard (with Nuria Legarda Andueza) & TIMBER (with Hannah Parsons). In 2018, Orchard’s second phase of creation was commissioned by The Place &supported through an Arts Council National Lottery Grant. 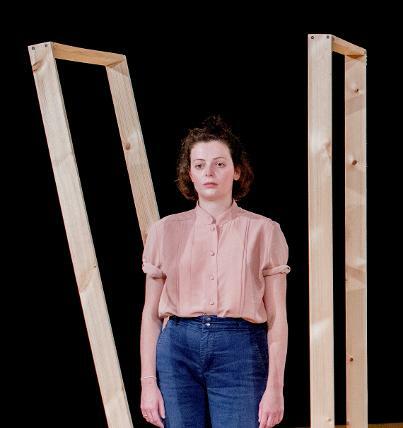 Elinor’s work in development TIMBER has been shared through Touch Wood 2018 and Dance Umbrella Studio Sessions 2018.